Many people aspire to run their own company, or become the CEO of one, but few have the personal qualities needed to get to the top. Harvard Business School surveyed CEOs and asked them what they thought were the most important qualities for getting to the top. The three traits most commonly mentioned were “realistic optimism”, “subservience to purpose” and “finding order in chaos”. 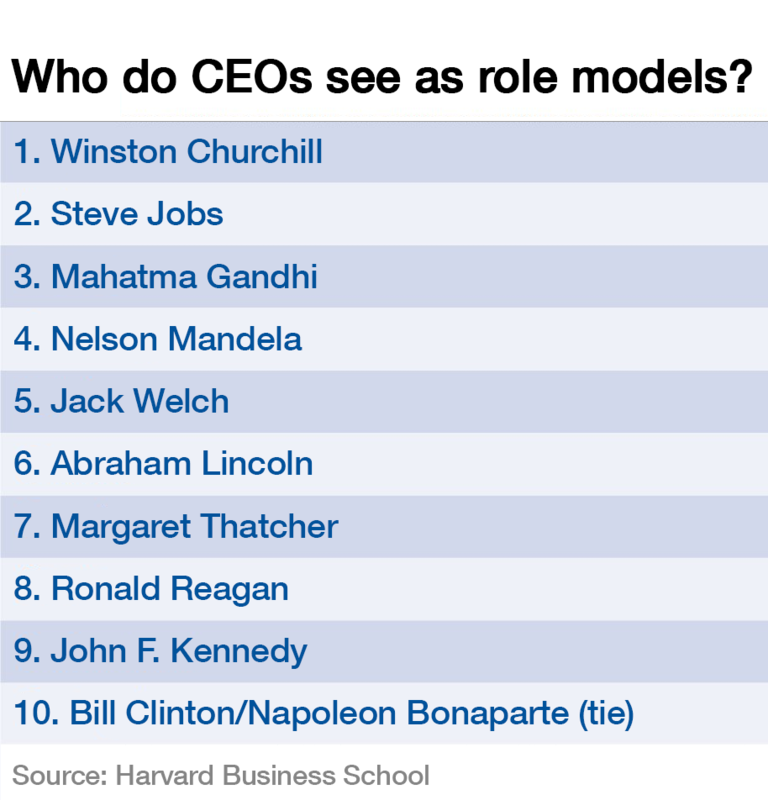 So who are the people with these traits who are serving as role models for top executives? Which leaders are top on Twitter?